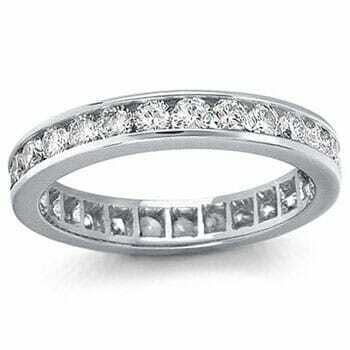 The eternity ring, also affectionately known as the infinity ring, is for that special someone who you have chosen and will continue to choose to be together forever, for better or for worse. 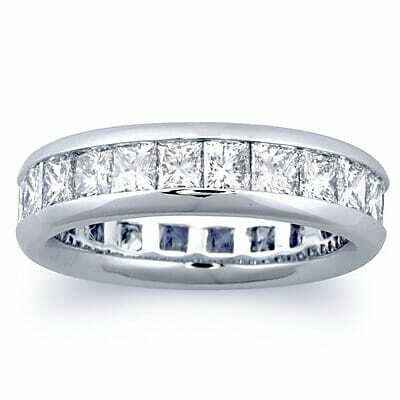 The shape and style of the eternity ring varies from ring to ring, however, the general characteristics are the same. 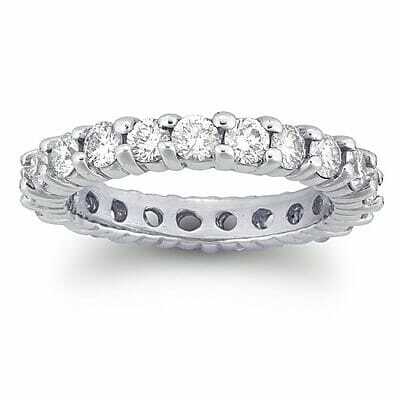 The band features an endless row of beautifully brilliant Pavé stones that will sit around her finger. 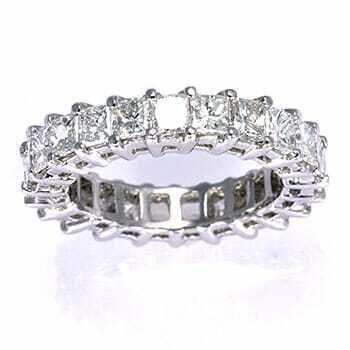 The rings are designed to sit with her engagement and wedding rings but can be opted to be worn on the opposite hand. What should I consider when buying an Eternity Ring? As the name suggests, the ring symbolises everlasting love and is usually gifted on a special occasion like an anniversary. It might feel like the wedding ring dilemma again when you didn’t know what size, colour or style you should get her. However, that is not the case anymore. When buying eternity rings you already have her preference profile for rings! Just have a look at her current engagement and wedding rings. What colour are they? Do you remember the size of her finger and what kind of metal it is? 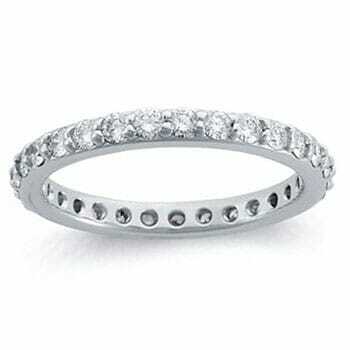 These questions are important to ask yourself to ensure that your Eternity Ring fits and complements her other rings. Be sure to also stick to the set style as well. Such as whether the rings are thin or bold, minimalistic, whether it has coloured stones, if the stones are bigger or smaller, etc. Regardless, if it doesn’t end up fitting her set, she always have the option to wear it on her opposite finger, which is just as lovely on its own. 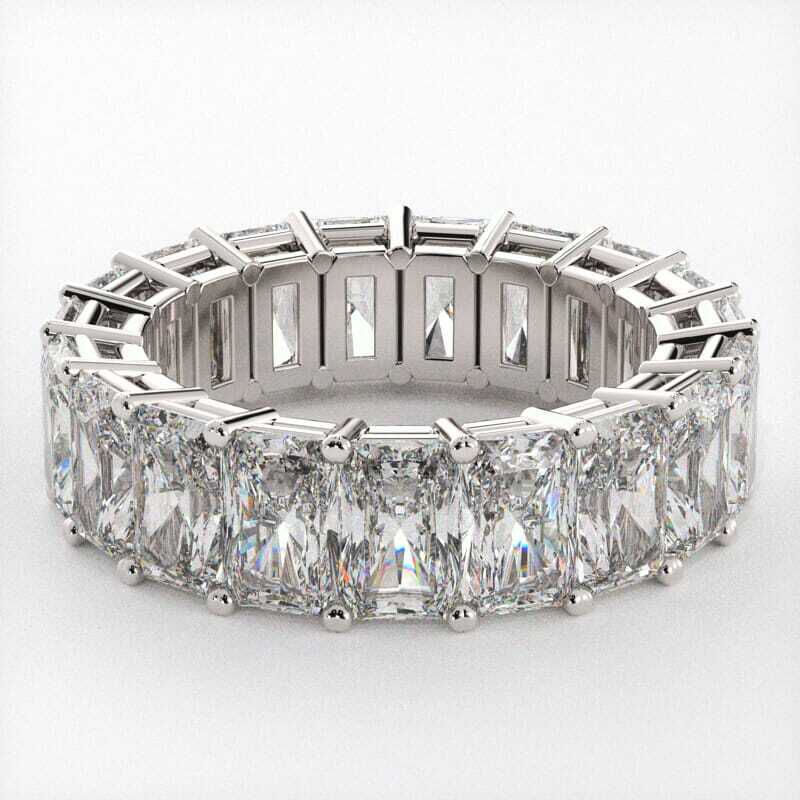 Below are some examples and types of Eternity Rings GoldeNet offers to all our online customers catering to different shapes, sizes and styles. GoldeNet offer a beautiful range of eternity rings for the special someone in your life. You can easily customise our rings online with the metal type of your choice. If you need some more information, simply reach out to us at 1300 361 873 - or visit us today in our Brighton Showroom!